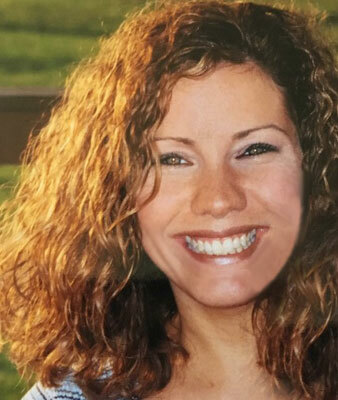 NILES - A Mass of Christian Burial will be held Saturday at 10 a.m. at Immaculate Heart of Mary Church for Veronica S. Cleckner Vigorito, 43, who died unexpectedly on Monday. Veronica, affectionally known as “Roni” was born Feb. 9, 1975, in Youngstown, a daughter of Jerry Cleckner and Margaret (Ritter) Cleckner. She was a 1993 graduate of Austintown Fitch High School and graduated from Kent State Trumbull. Upon graduation, she worked as a registered nurse. Roni was very passionate about her nursing profession and loved her family dearly. She also loved her dog, Hershey. She is survived by two children, Anthony and Gianna Vigorito of Niles; parents Margaret Cleckner of Akron and Jerry and Kathy (Davey) Cleckner of Youngstown; seven sisters, Debbie (Tim) Lantz of Canfield, Joanie (Vince) Martinelli of Austintown, Sherry (Rusty) Zents of Austintown, Diana (Tom) Puz of Austintown, Teresa (David) Bencivengo of Canfield, Megan (Maxwell) Anderson of Struthers, and Kara Cleckner (fiancé Joe DeCapita) of Cleveland; two brothers, David (Justina) Cleckner of New Middletown and Scott Cleckner of Austintown; and grandmother Margaret Ritter of Kinsman. Veronica was preceded in death by her brother, Brian Cleckner; and grandparents, Thomas Ritter and Gerald (June) Cleckner.